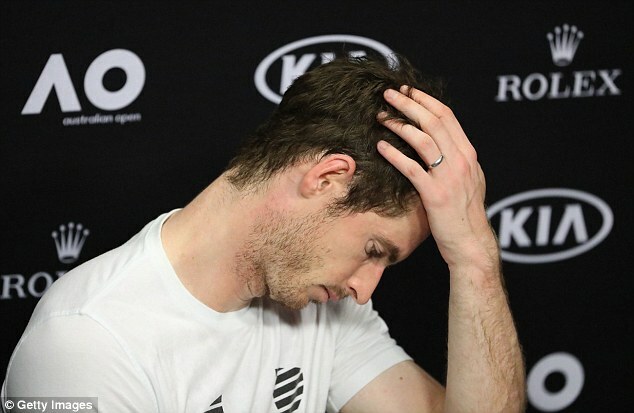 Andy Murray looked back with regret on his Australian Open campaign, and admitted that he could have prepared better for a Grand Slam he still cannot win. In an unusual move by his workaholic standards, the world No 1 took 10 days off after his shock fourth-round defeat by Mischa Zverev and is still only practising lightly. It suggests that he felt overcooked for Melbourne. He did not even watch the final, preferring to take his wife Kim away when the classic Roger Federer versus Rafael Nadal match took place. 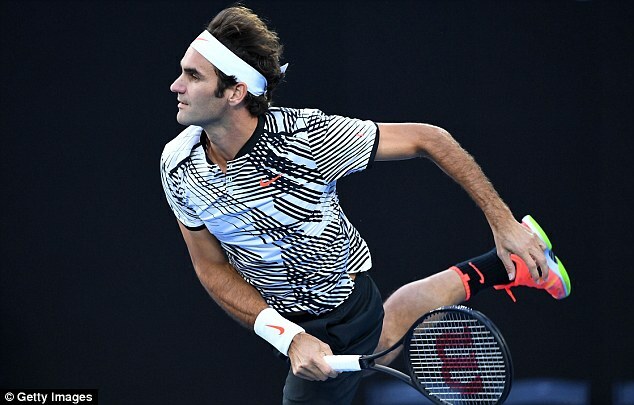 ‘There are definitely things I would have done a bit differently,’ he admitted of his Australian Open preparation, speaking on a visit to the London headquarters of UNICEF, which will benefit from a charity match he will play against Federer at Glasgow’s SSE Hydro on November 7. ‘It’s difficult sometimes with the way the schedule is to get things right all the time,’ he added. He conceded that his lucrative appearance in the Qatar Open, which prevented him from arriving in Australia until the week before, might not have been wise. As well as the exhibition match in Glasgow, Murray will play Federer in Switzerland to raise money for the Melbourne champion’s foundation on April 10. That is the day after Great Britain are due to finish their away Davis Cup quarter-final in France. Murray made encouraging noises that he will make himself available for the tie, having sat out last weekend’s victory in Canada. 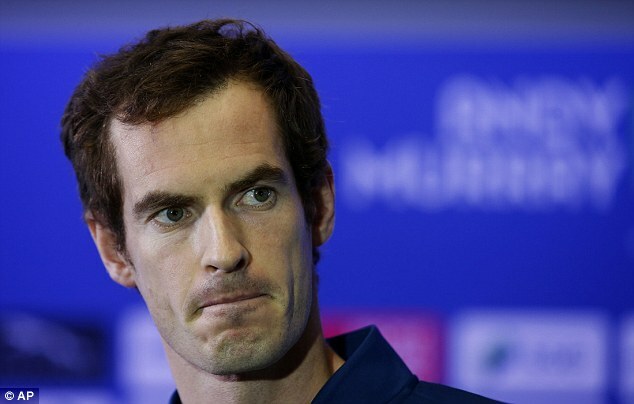 Murray, now Sir Andy, was asked about the controversy over David Beckham’s attempts to get a knighthood. ‘He’s done a lot of great work for charity but it’s not my decision who gets a knighthood,’ he replied. He also likened the Denis Shapovalov default incident in Canada, when the 17-year-old lashed the ball in anger and hit the umpire in the eye, to road rage. ‘When someone drives in front of you in the road, for some people the tendency is to snap or swear or shout or scream or drive right up behind them,’ said Murray. 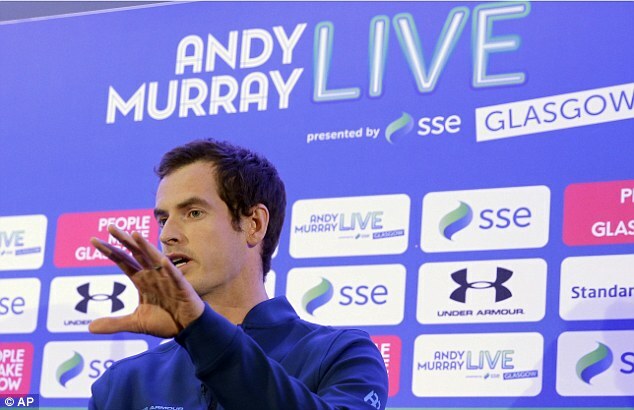 Murray had a culinary warning for Federer on what will be his first visit to Glasgow. ‘Don’t try the fried Mars bars,’ he joked.